Everything we go through in life - mentally, emotionally and physically - stays in our bodies as muscular tension which we carry throughout our lives but remains mostly unnoticed. This tension results in detrimental habits like compression, restriction and misuse occurring in various areas of the body. The Alexander Technique helps us re-establish the natural neural pathways between the brain and the muscles so that we can release the undue tension in our bodies, and let go of the emotional baggage we've been carrying. It further promotes greater ease and freedom of movement, enhances balance and coordination, reduces stress and pain, improves breathing, sleep, posture and poise, and increases self-awareness. Women during pregnancy through childbirth and into parenthood to cope with the weight of the growing baby, learn movements and positions to facilitate natural labour, avoid pregnancy complains such as backache, breathlessness and tiredness, recover fitness and well-being after giving birth.
" I recommend the Alexander Technique as an extremely sophisticated form of rehabilitation... From personal experience we can already confirm some of the seemingly fantastic claims made by Alexander and his followers - namely, that many types of under-performance and even ailments, both mental and physical, can be alleviated, sometimes to a surprising degree, by teaching the body musculature to function differently. We already notice, with growing amazement, very striking improvements in such diverse things as high blood pressure, breathing, depth of sleep, overall cheerfulness and mental alertness, resilience against outside pressures, and in such a refined skill as playing a musical instrument." Postal address: 4 Dimitri Mavrogenous, 2013 Strovolos, Nicosia. Helping you gain conscious control that empowers you with choice, be in harmony with the world about you and enjoy the journey. I am a qualified teacher of the Alexander Technique, certified by the Society of Teachers of the Alexander Technique (STAT), the world’s oldest and largest professional body of Alexander Technique Teachers. I completed the three-year full-time training course at The Constructive Teaching Centre in London and have been teaching in Cyprus since 2012. 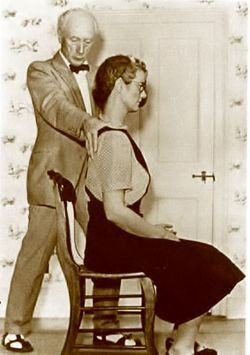 When I first came across the Alexander Technique in 2009, I had been suffering from headaches for about 12 years, as well as from neck and back pain. After my first few lessons it all made so much sense to me that I wondered why I hadn’t heard of it before! The Alexander Technique was the only thing that had a lasting impact on my condition and I decided to train initially to help myself rather than as a career move. I soon found the benefits were as much mental and emotional as physical. I now teach in Nicosia and Limassol and I am happy to take students whatever their reason for seeking out the Alexander technique. I would like my students to open themselves to learning so as to experience a unified field of attention - a conscious awareness that empowers them with choice, to be in relationship with the world about them and to enjoy the journey.